Common Worship is the new worship and service book for the Church of England. The President s Edition is designed to be used by those presiding at Holy Communion. This version is bound in a large (A4) format, with a red calfskin leather cover, gold blocking, gilt edges and six ribbon markers. It is also slipcased. Musical settings are provided for Eucharistic Prayers and Prefaces. Common Worship: President's Edition Red Calfskin was published by Church House in November 2000 and is our 9085th best seller. 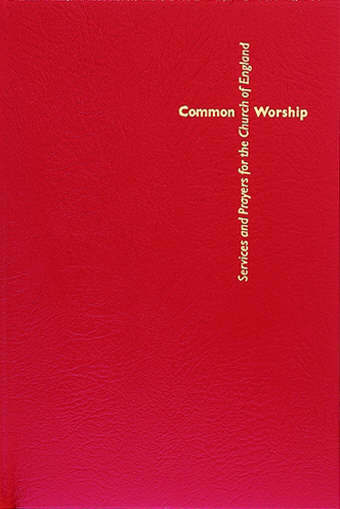 The ISBN for Common Worship: President's Edition Red Calfskin is 9780715120194. Be the first to review Common Worship: President's Edition Red Calfskin! Got a question? No problem! Just click here to ask us about Common Worship: President's Edition Red Calfskin. What size is this book and does it have markers? A:The size of the Common Worship: President's Edition Red Calfskin is: 303mm x 220mm x 54mm It has six ribbon markers.